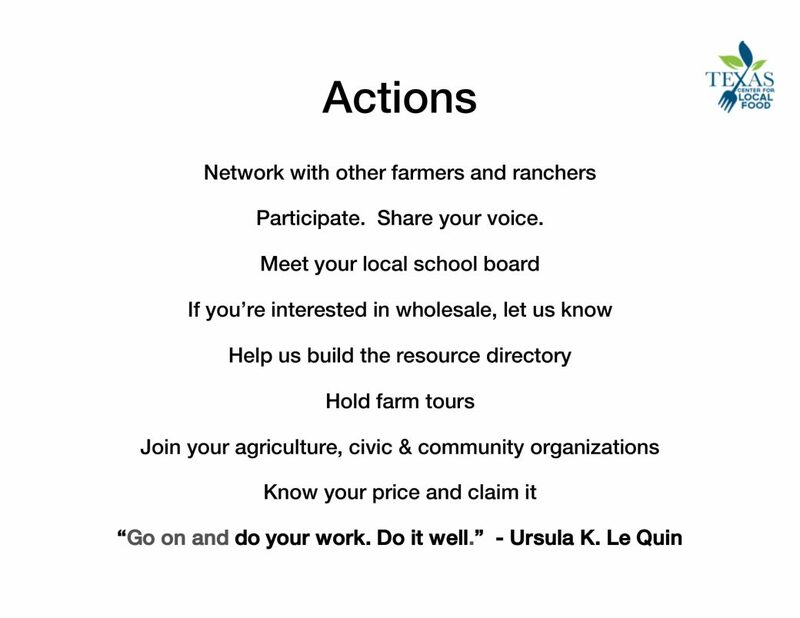 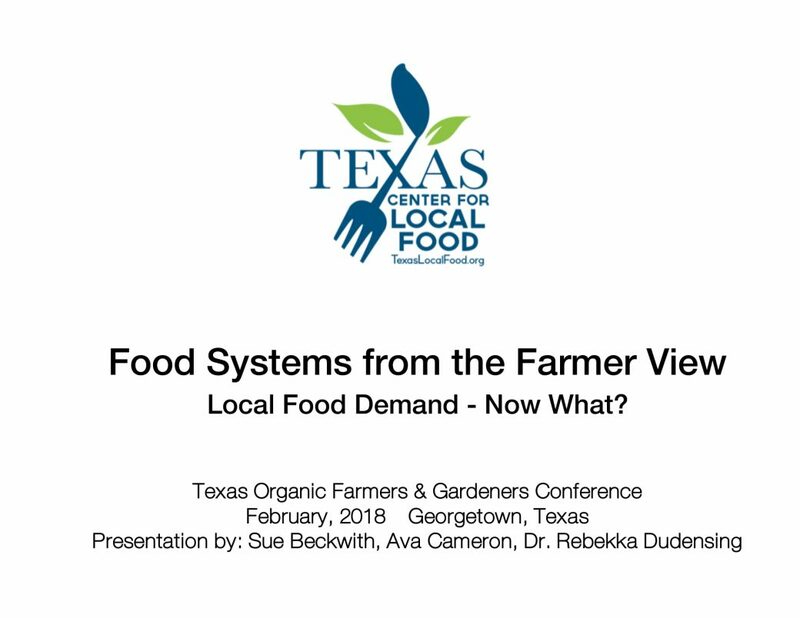 02/01/18 Food Systems from the Farmer View: Local Food Demand- Now What? 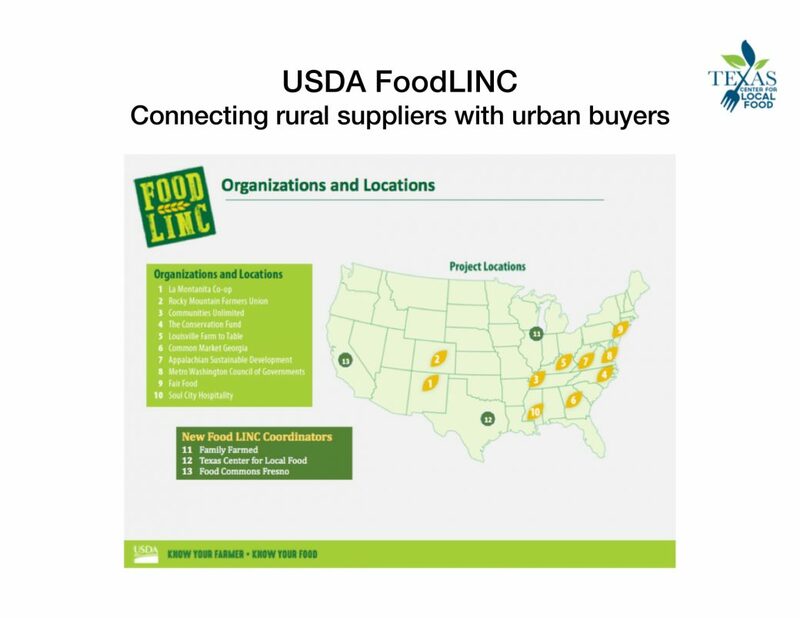 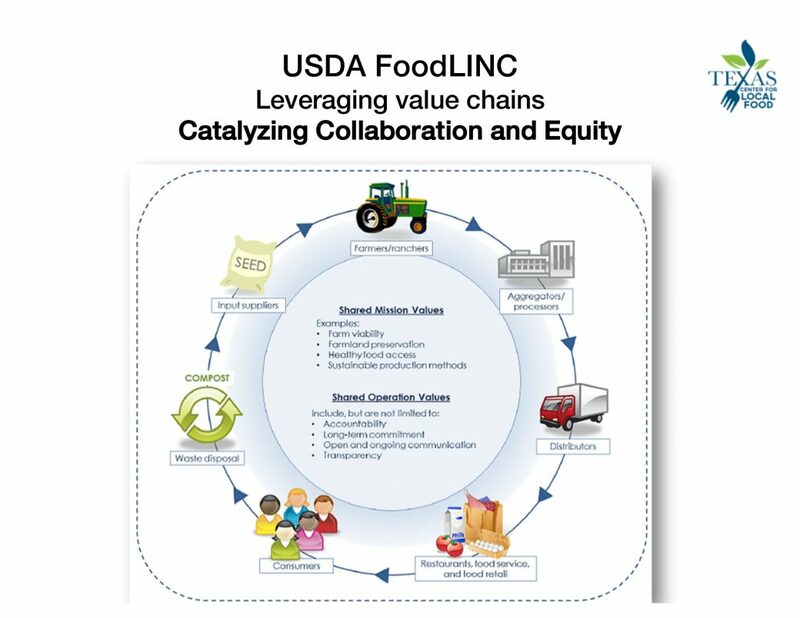 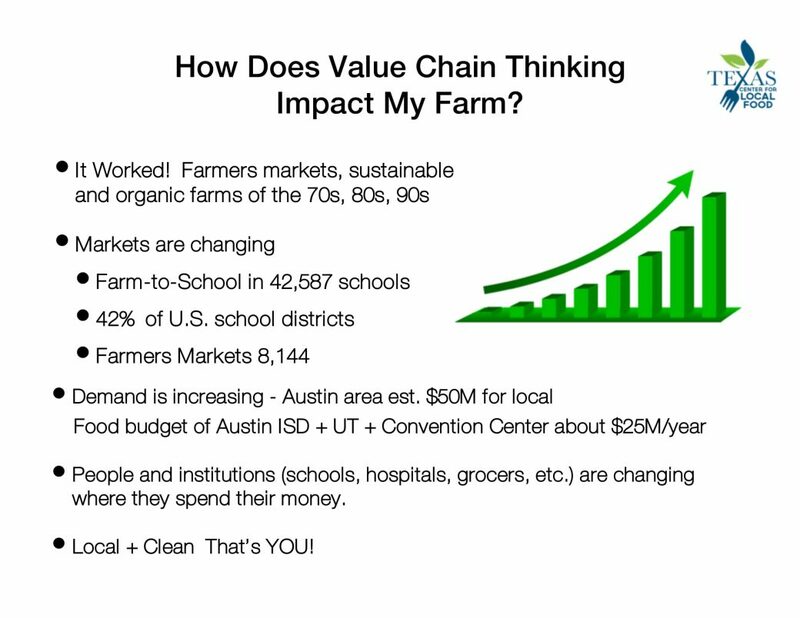 This presentation provides an overview, from the farmer’s perspective, of the food value chain, including benefits and detriments. 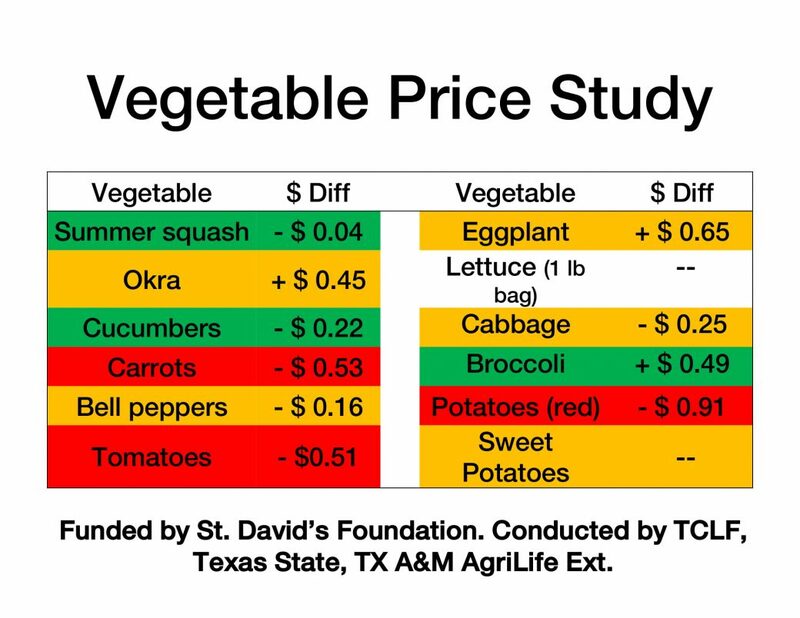 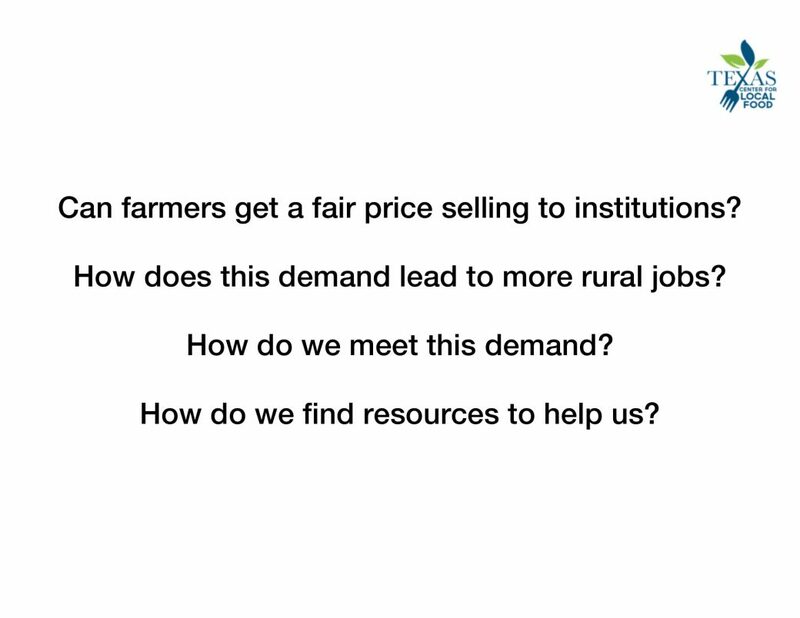 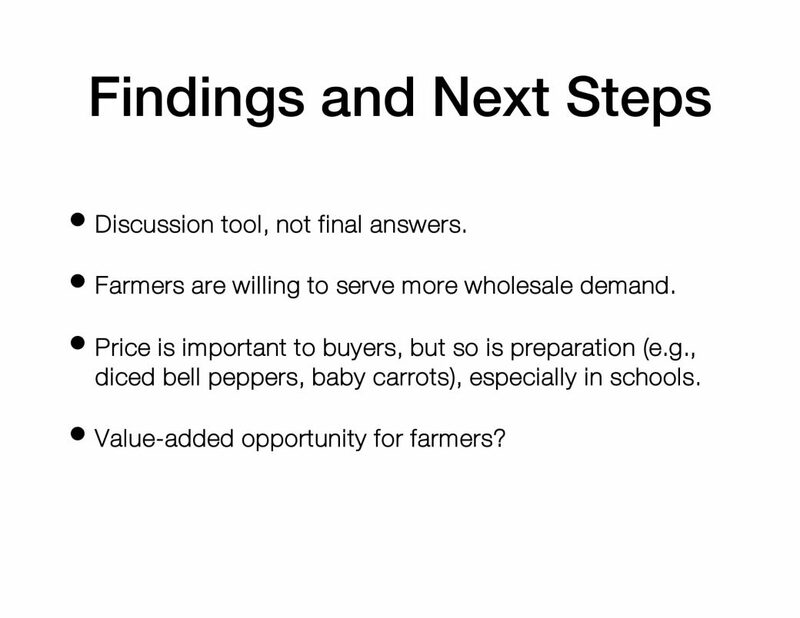 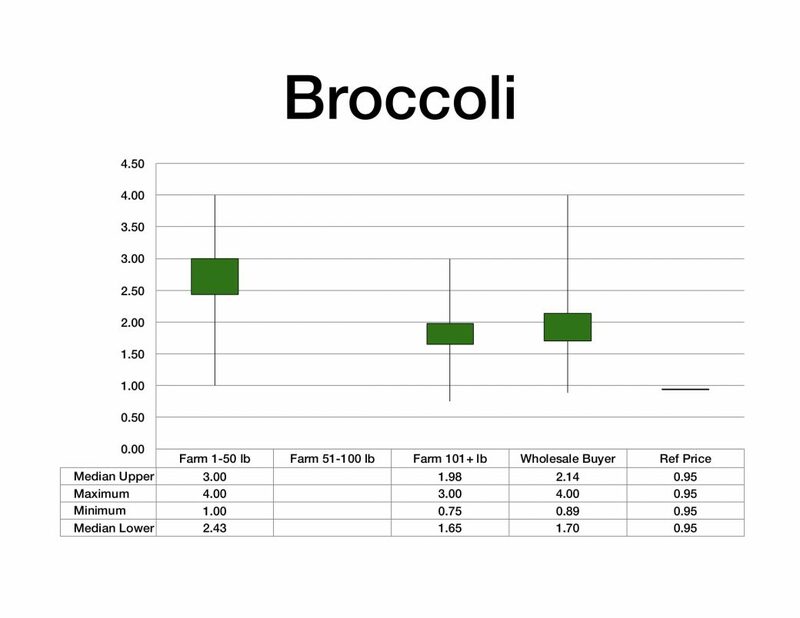 The presentation rounds out with a discussion of a recent vegetable price study funded by the St. David’s Foundation. 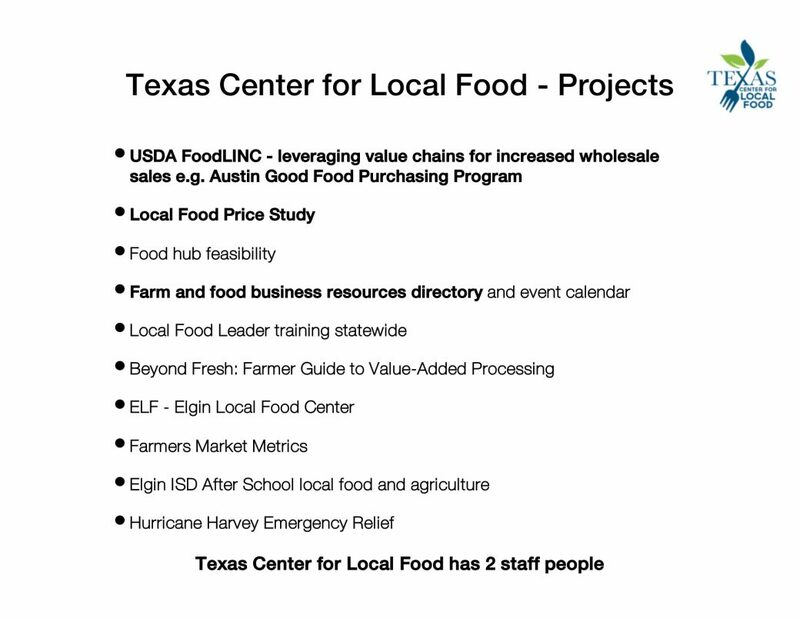 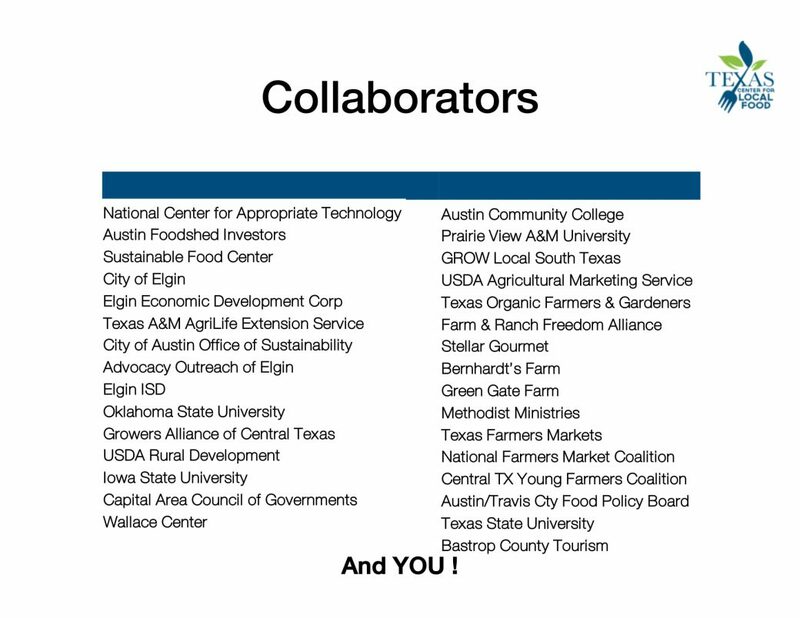 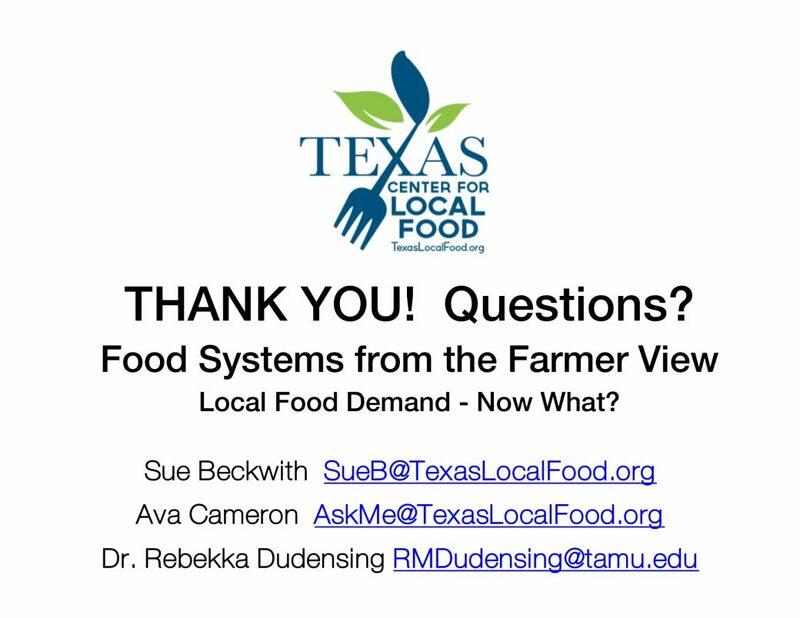 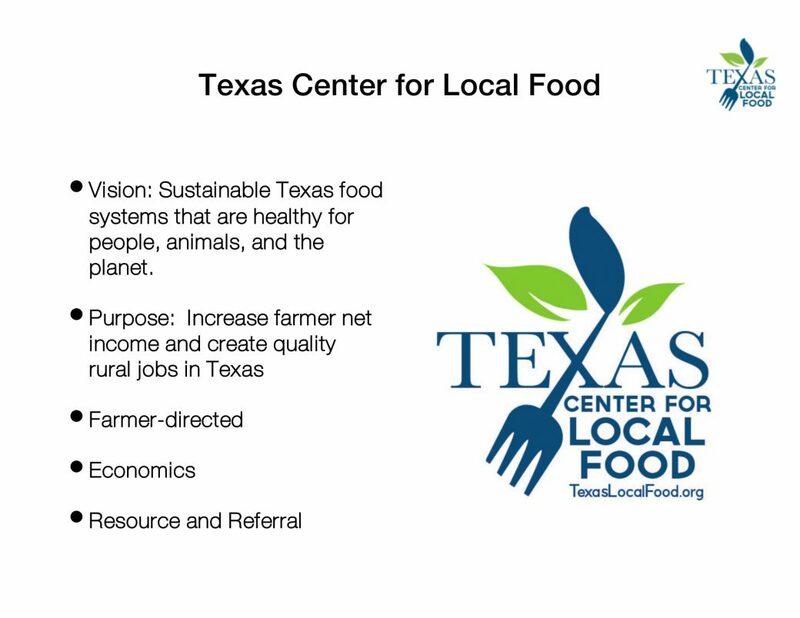 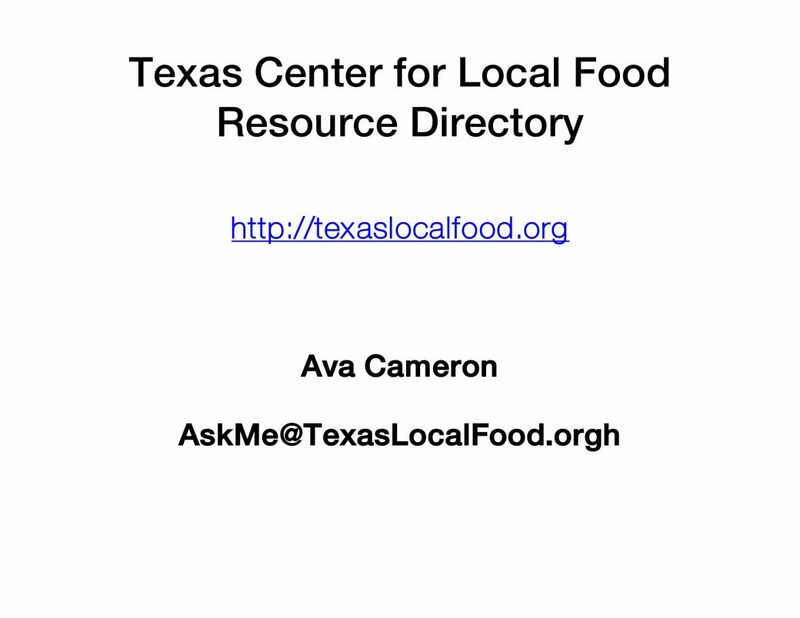 Presentation delivered by Ava Cameron, Dr. Rebekka Dudensing, and Sue Beckwith to the 2018 Texas Organic Farmers and Gardeners Conference.